For full certification, you are invited to upload a video for feedback by Jaime, using the class plan provided (Squish The Fish). Jaime watches your video and gives you supportive one-to-one feedback by video. If you reach the required standard, you get official certification from Cosmic Kids. 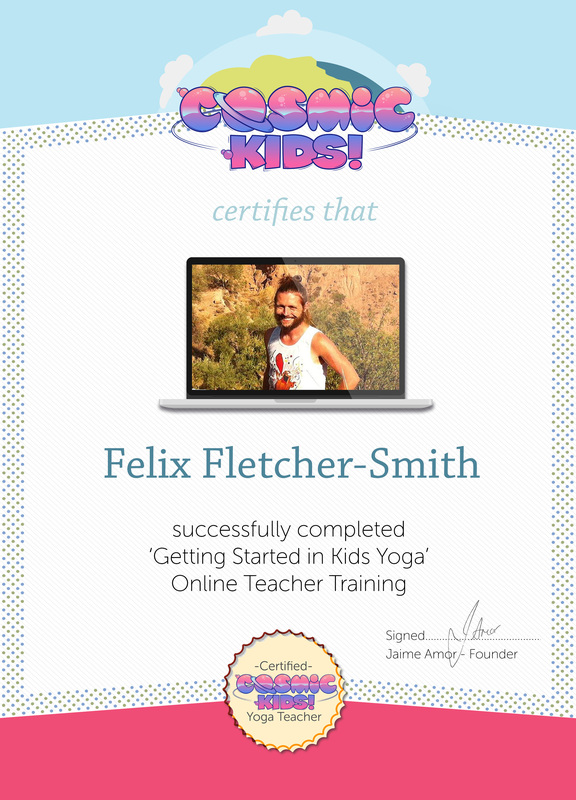 You can use your certificate (see below) as evidence to insurance companies, schools and parents that you have the required skills to teach safe inspiring kids yoga. We are a Yoga Alliance Continuing Education Provider but have not sought Yoga Alliance accreditation for our school. Find out why here.